Millions For The Middle Class! THANK YOU EVERYONE! 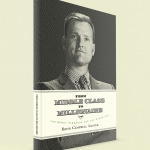 My new book from Middle Class to Millionaire is doing so well! It has been such an honour to meet so many of you who are doing well already or who need a bit of a help with the aid of my book. I’ve been from coast to coast doing book signings and in the press and have met tons of people all over the country that know that the Middle Class needs some help. My first book “I Heart Money” was about how a positive belief system and love for money had a beneficial effect on my life. I was able to travel all over the world, live in cool places, spend time with my family and do the things that made me happy. I’ve now written to show how the middle class can take on the same positive belief system around money and finances and increase their overall happiness and success. Long live the Middle Class!